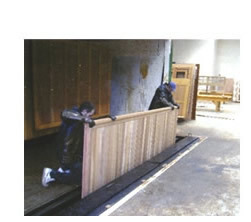 Derbyshire based Cedar Door Ltd has been making solid cedar timber garage doors for over 30 years. 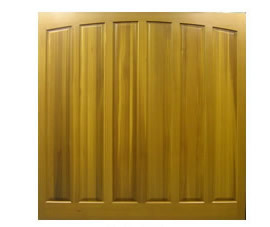 They produce numerous styles of door complementing properties of all types, both new and old. All Cedar Door Garage Doors products are made-to-measure at no extra cost, with all retractable up and over doors available from 6ft to 18ft wide, canopy doors from 6ft to 8ft wide and pairs of Cedar side-hinged doors from 5ft to 10ft wide. All products are manufactured from the highest quality western red cedar, which is attractive, strong, light, naturally rot resistant and not as expensive as most hardwoods. 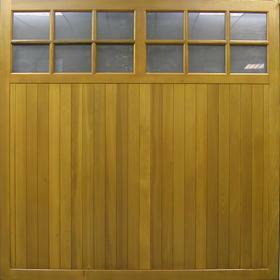 It is also very stable making it the ideal timber for a garage door. All the cedarwood used by Cedar Door is sourced from sustainable forests. They also have CSA, PEFC, BM and TRAPA-Track certifications. Cedar Door is a family run business, which has grown dramatically in the past 10 years. They manufacture all the Hormann timber garage doors for Hormann in the U.K. and, early in 2014, won the contract to make the Garador timber garage door range. 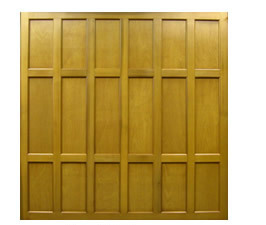 This range of garage doors features traditional morticed and tenoned solid cedar frames into which is bonded either tongue and grooved cedar boarding or 20 mm thick solid cedar panelling. For extra strength and longevity, all solid cedar rails and stiles to the frame are morticed and tenoned, glued and wedged together. Certain models in this range are available with an inbuilt wicket door. All glazed models come with 4mm toughened clear or stippled glass (not Perspex). 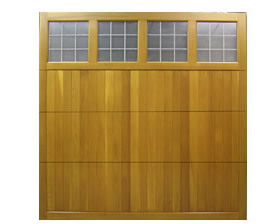 Cedar Door’s traditional panelled garage doors are also constructed out of solid morticed and tenoned frames, infilled with the highest quality 9mm cedar-faced exterior plywood panels. Cedar Door is one of the very few garage door manufacturers who produce a very high quality made-to-measure side hinged range of garage doors. Available from 6ft to 10ft in width, each door comes complete with a choice of ironmongery packs to suit customer tastes. Cedar Door’s Sherwood doors are constructed from a dark brown powder-coated aluminium boundary frame with steel bracings to reinforce the panel, making it strong and stable. 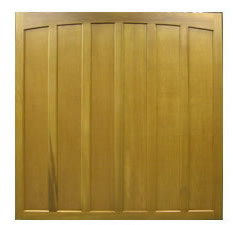 The Sherwood range offers an economical way to buy a timber door. A fine, dark brown, metal edge is visible around the edge of the door, when viewed from the front. Glazed versions come with Perspex windows rather than glass. 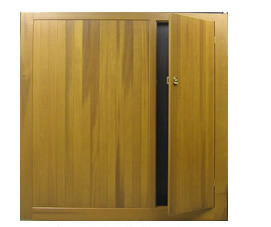 A high quality made-to-measure product, the Cedar Door sectional range provides traditional quality door construction, combined with the security and reliability of a sectional door mechanism. With all round rubber seals the doors can be installed directly to brickwork or onto a timber goalpost frame. 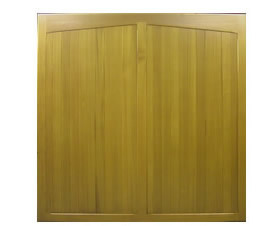 Cedar Door Sectional doors come fully finished in a choice of Remmers woodstains as standard. 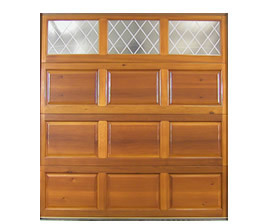 Up & Over and Side-hinged Cedar Door garage doors come with Remmers basecoat as standard, but can come bare, if requested. Also available is a fully finished option - one of 9 colours can be chosen. This then makes the door maintenance-free for up to 7 years. Now available in any RAL colour at additional cost. 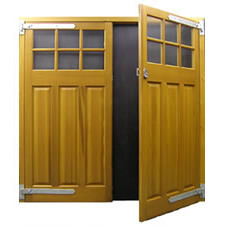 Please note that doors in dark stains and dark colours are not guaranteed if the door faces south, or is in constant sunlight, due to the likelihood of excessive heat uptake and the possibility of distortion. 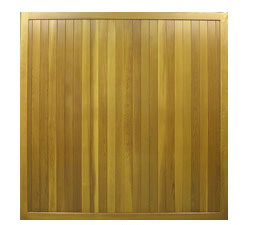 Cedar wood doors look extremely smart when fitted on a solid cedar frame. 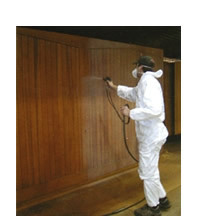 Cedar Door's products combine new state of the art machinery and traditional craft skills / attention to detail.